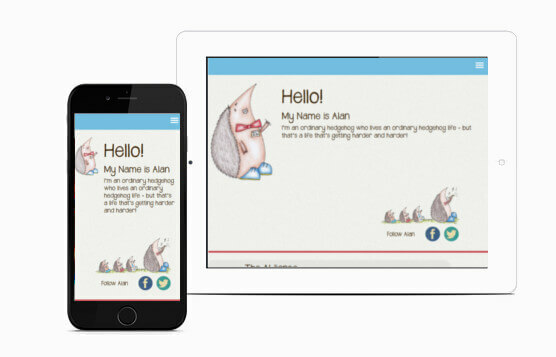 JKE Web Design are always willing to help out new organisations when we can, with Alan the Hedgehog we found it hard to turn down giving our expertise and spare time to get this website project up and running. The idea behind Alan was great, using a loveable character to raise awareness about the issues hedgehogs are facing. 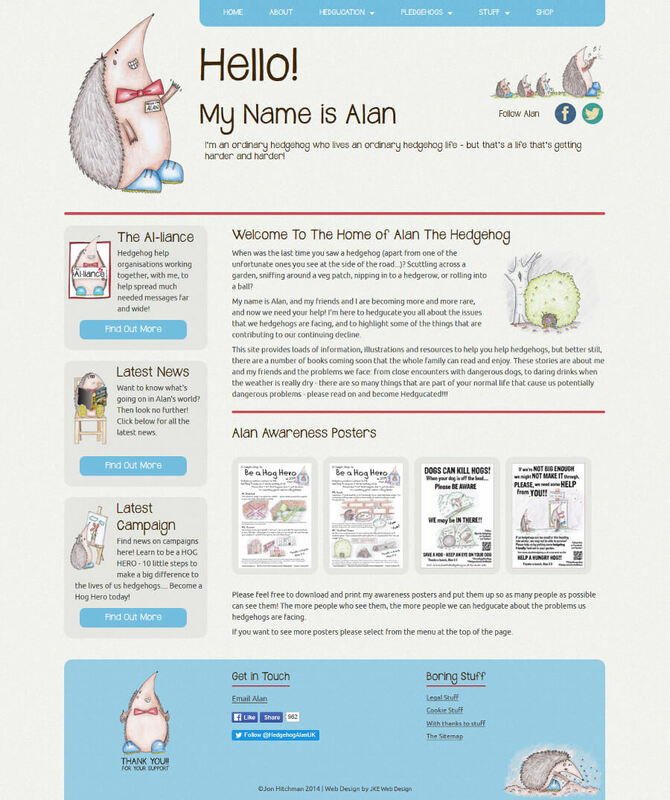 There was already an Alan the Hedgehog website but it was no longer fit for purpose and needed a makeover. With some great artwork at our disposal this was a pleasure to work on. We did the design and built the framework for all the pages and passed it over to Alan to work on and manage in the future with a little guidance from us if needed. We are always willing to give up some of our free time when we can to help with projects that would not have got an online chance otherwise. Good luck Alan!